The big boys come out to play… | Simon Says… You really should drink this! Yesterday I was given 2015’s Galway Bay Brewery 200 Fathoms and Founder’s KBS. I had both of them last year as well but the difference in the 200 Fathoms was marked. While last years batch was excellent, this year’s was even more excellenter! That Teeling Whiskey really came through from the barrel aging process. It’s thick and treacle like and sharing it was definitely the way to go. 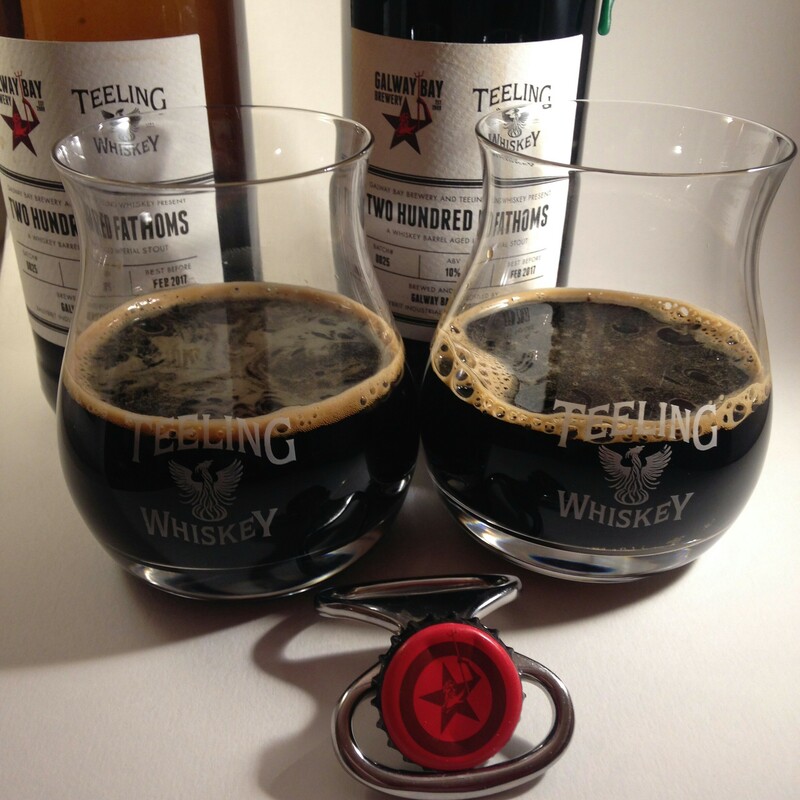 I’m going to keep one bottle up until I have a wee drop of Teeling’s Small Batch to drink beside it. 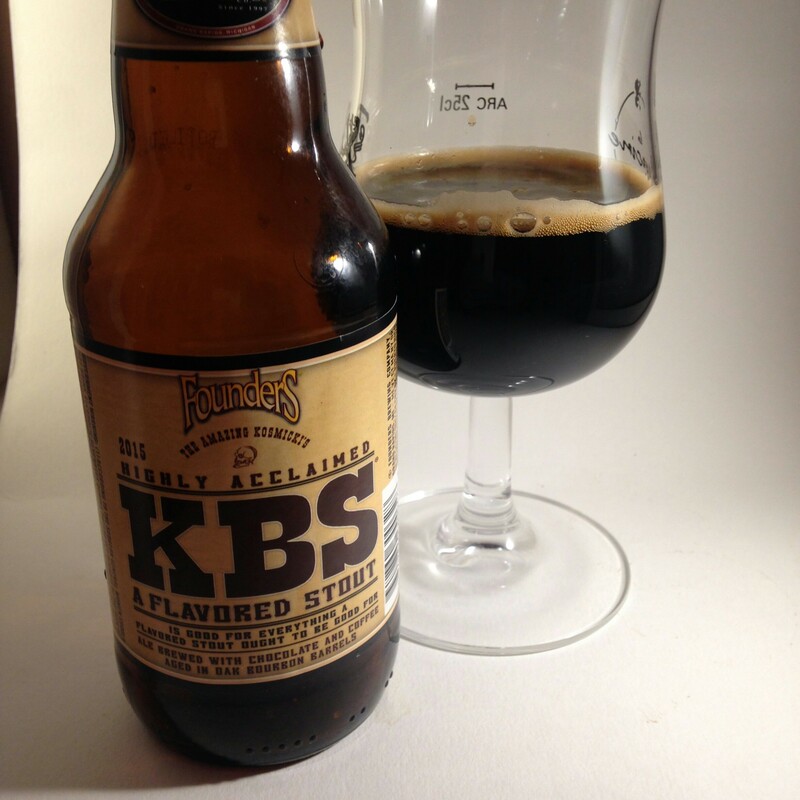 The Founder’s KBS or Kentucky Breakfast Stout is regarded as one of the best beers in the world, 100 on Rate Beer and all of that craic. It’s brewed with chocolate and coffee and then aged in bourbon barrels so you couldn’t or shouldn’t really compare the two. But they’re both high abv stouts and that’s enough for me. ( 200 Fathoms is 10% and KBS is 11.2%) Now while they are both really great beers, I have to say I slightly preferred the 200 Fathoms, I found it warmer and a little more well rounded. Please don’t shoot me. If you want to pick up either of these don’t waste any time. They’re both very limited releases. ( At the time of writing you only have about two hours to hit the Off Licence in Ireland as they will be closed tomorrow for Good Friday but that’s another story! ) Sláinte! Ps: yeah, I know ‘excellenter’ isn’t a word! This entry was posted in Uncategorized and tagged American beer, barrel aged, Beer, Good Friday, irish craft breweries, stout. Bookmark the permalink.